Sometimes, the best way to describe a process or a series of events is to create a diagram. Diagrams can be easier to understand if they are distributed in different stages. Unfortunately, making such diagrams from scratch can be quite difficult for many people. 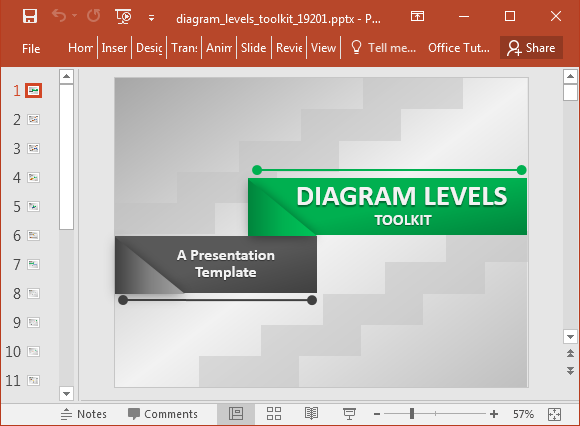 The Animated Diagram Levels Toolkit for PowerPoint comes with animated stage diagrams, which can be edited for elaborating upon different concepts, processes and ideas. 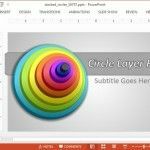 This diagram maker PowerPoint template is ideal for anyone who might want to create custom presentation diagrams using readymade sample illustrations. 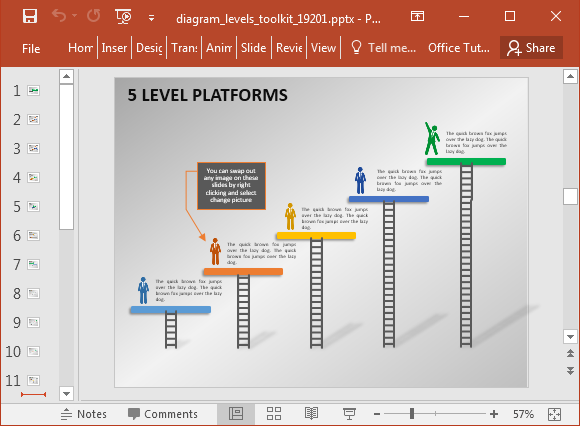 There are numerous stage based diagrams in this template, which come with different colors to separate each stage of the process or step that you intend to represent. 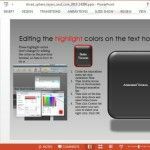 You can also edit to change the colors of the sample diagrams, as well as increase or reduce stages by adding or removing content from the original diagram. 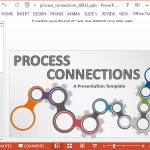 Some slides represent a sequence of stages which reduce as you proceed with your slide show. You can use this sequence to create stage or level diagrams which present a sequence of events, a process or concept. 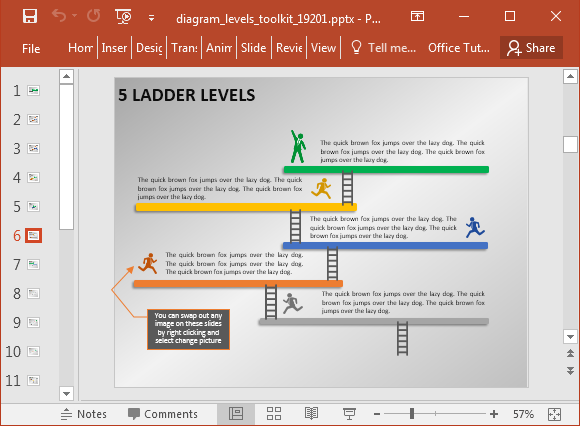 You can also choose to increase the levels in the diagrams, slide by slide, by editing the default sequence or creating your own from the sample slides. 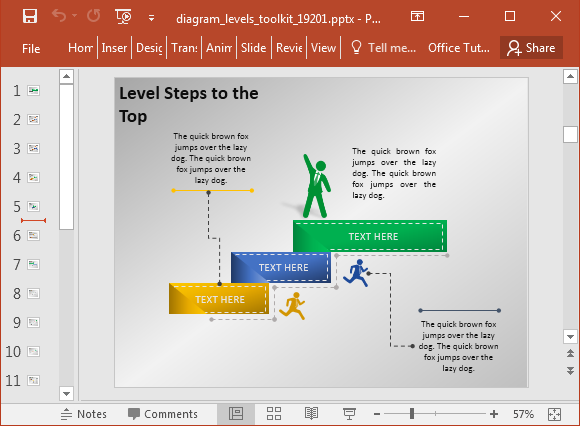 You can also create standalone diagrams and infographics by simply adding text to the given stage diagrams. 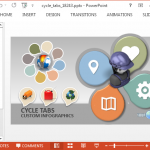 There is a lot of room for customization, which means that you can change the default diagram layouts, colors, size of objects, and mix the sample diagrams with your own added content. 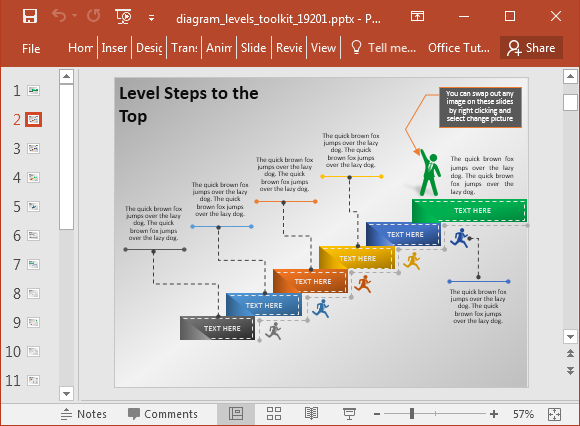 You can also use drag and drop to reorder diagrams and create new layouts of your own. 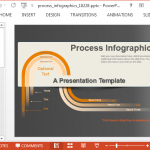 This diagram maker PowerPoint template can be used for making a variety of diagram types. You can easily make use of the given diagrams to generate timelines, roadmaps and process diagrams.